Download "EncoreCX. 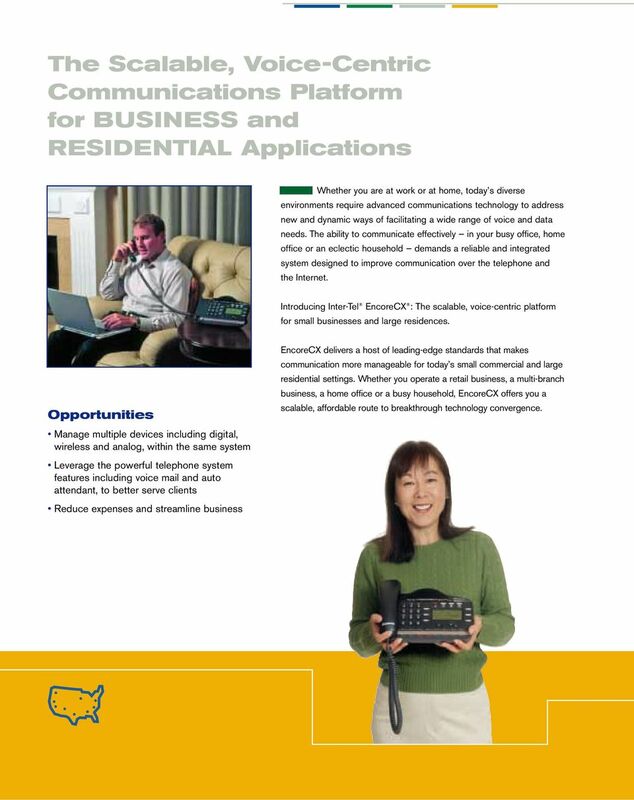 The Ideal Communications Solution for BUSINESS and RESIDENTIAL Applications"
2 The Scalable, Voice-Centric Communications Platform for BUSINESS and RESIDENTIAL Applications Whether you are at work or at home, today s diverse environments require advanced communications technology to address new and dynamic ways of facilitating a wide range of voice and data needs. The ability to communicate effectively in your busy office, home office or an eclectic household demands a reliable and integrated system designed to improve communication over the telephone and the Internet. 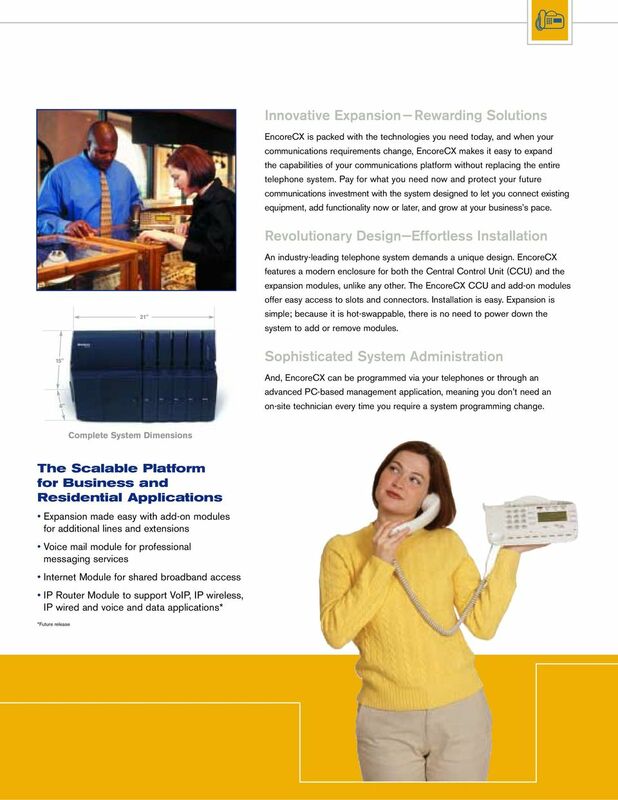 Introducing Inter-Tel EncoreCX : The scalable, voice-centric platform for small businesses and large residences. 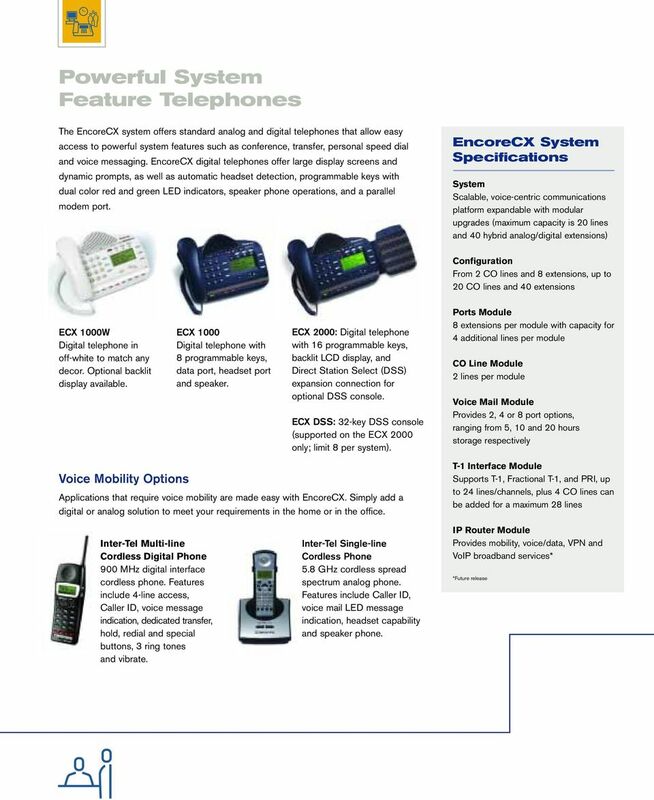 Opportunities Manage multiple devices including digital, wireless and analog, within the same system Leverage the powerful telephone system features including voice mail and auto attendant, to better serve clients Reduce expenses and streamline business EncoreCX delivers a host of leading-edge standards that makes communication more manageable for today s small commercial and large residential settings. Whether you operate a retail business, a multi-branch business, a home office or a busy household, EncoreCX offers you a scalable, affordable route to breakthrough technology convergence. 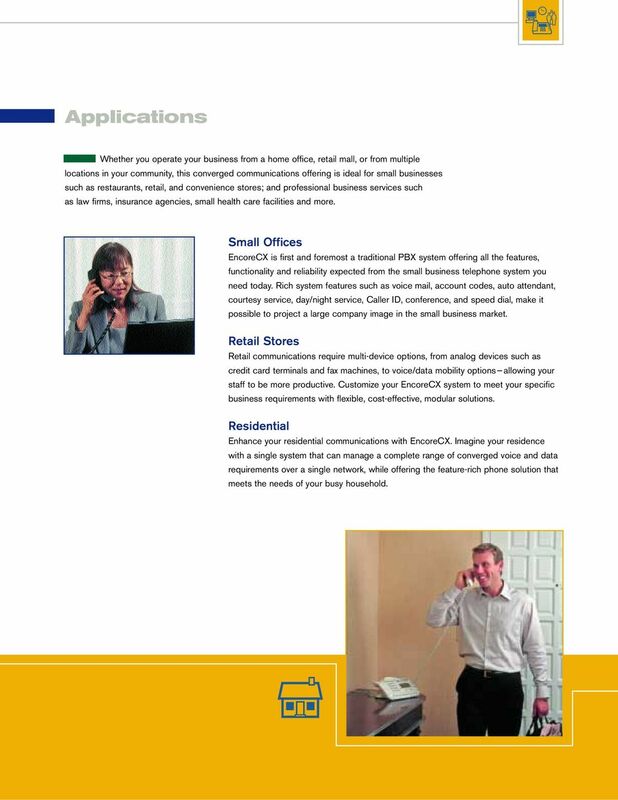 4 Applications Whether you operate your business from a home office, retail mall, or from multiple locations in your community, this converged communications offering is ideal for small businesses such as restaurants, retail, and convenience stores; and professional business services such as law firms, insurance agencies, small health care facilities and more. Small Offices EncoreCX is first and foremost a traditional PBX system offering all the features, functionality and reliability expected from the small business telephone system you need today. Rich system features such as voice mail, account codes, auto attendant, courtesy service, day/night service, Caller ID, conference, and speed dial, make it possible to project a large company image in the small business market. Retail Stores Retail communications require multi-device options, from analog devices such as credit card terminals and fax machines, to voice/data mobility options allowing your staff to be more productive. Customize your EncoreCX system to meet your specific business requirements with flexible, cost-effective, modular solutions. 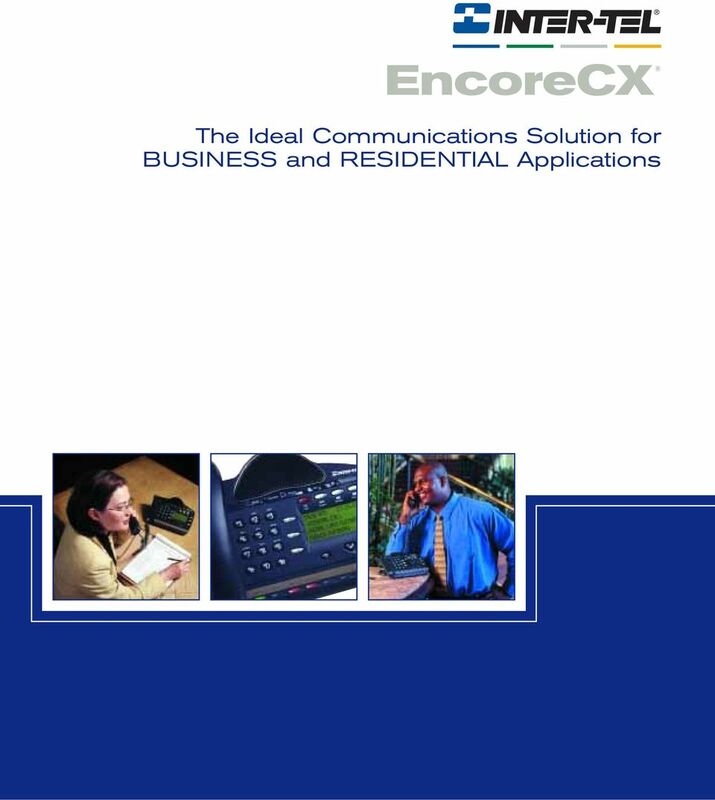 Residential Enhance your residential communications with EncoreCX. Imagine your residence with a single system that can manage a complete range of converged voice and data requirements over a single network, while offering the feature-rich phone solution that meets the needs of your busy household. The Bizfon is sold direct through the web site, through our telephone sales division and through our dealer network. 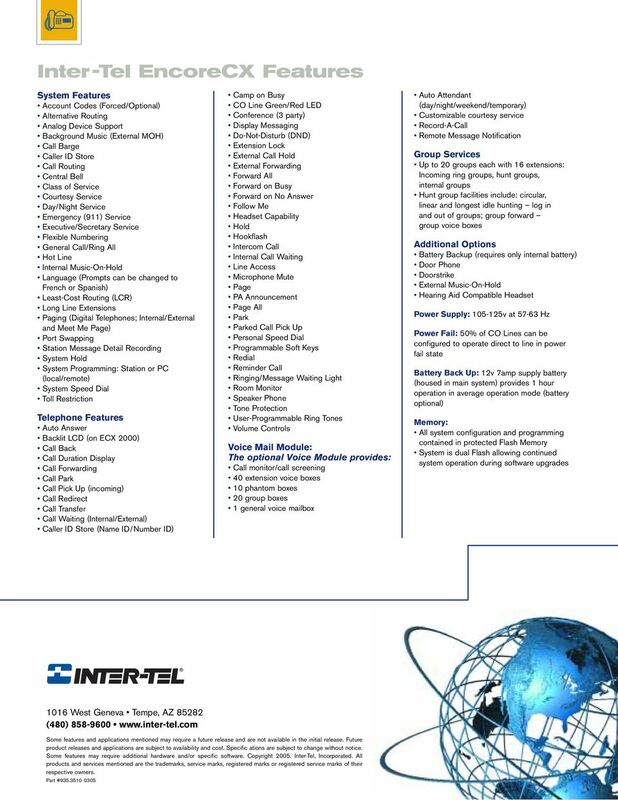 MITEL 5330 IP Phone User Guide Northwestern Michigan College The Mitel 5330 IP Phones is a full-featured, dual port, dual mode enterprise-class telephone that provides voice communication over an IP network.